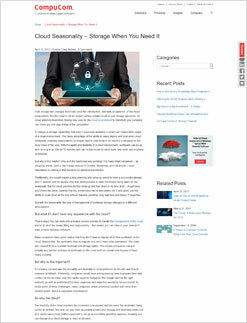 Maximizing employee productivity and innovation without sacrificing security. Developing a more strategic approach to data storage. Effectively managing available network resources across your campus or branch. Identifying the right processor to optimize performance of today's business applications. These are the types of challenges that are top-of-mind for IT leaders in the cloud era. 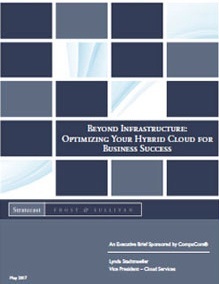 We'll explore all of them and more in the Hybrid Cloud Exploration Webinar Series with Frost & Sullivan, presented by CompuCom. Each webinar will feature Frost & Sullivan analyst, Lynda Stadtmueller, who will draw on market data to discuss the pain point at hand, and a CompuCom representative, who will elaborate on how to tame the complexity of the challenge. You'll also hear from experts at CompuCom partners, who will illustrate the value of technology in the overall solution. 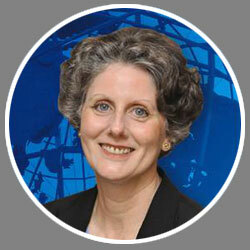 Lynda is vice president for the Cloud Computing program at Stratecast, a division of Frost & Sullivan. With over 20 years' experience in the communications industry, she is a frequent speaker and contributor to technology publications. Her research areas include IT transformation; public, private and hybrid cloud; and data center infrastructure (servers, storage, and networking). ©2017 CompuCom Systems, Inc. All rights reserved.